Why do some companies shy away from selling water based metalworking fluids and others thrive on this business sector? With many lubricants that are sold the life expectancy of that lubricant can be predicted, but this is not always the case for a metalworking fluid. But why? Let’s take the example of a gearbox oil going into an industrial gearbox. The gearbox is drained and a fresh charge of lubricant added before it is resealed and returned to use. This is a simple operation and the gearbox oil is being used as supplied by the manufacturer in a clean and enclosed environment. The life of the oil can be predicted depending on the quality of the oil, the loadings incurred and the temperatures it will become exposed to. Now let’s look at a water based metalworking fluid which is being supplied to a customer as a concentrate to be mixed with local water. Immediately we can see the problem, we are hoping that the customer water is of good quality, that the fluid is mixed correctly and that the fluid is mixed at the correct concentration. What could possibly go wrong? The fluid will then go into an open system with contamination from other oils, any dirt or coating that is on the component entering the machine and the atmosphere. We can immediately see that we are more likely to get a predictable life from the gearbox oil than we are from a water based metalworking fluid unless the supplier also gives a lot of guidance, hand holding or technical service. 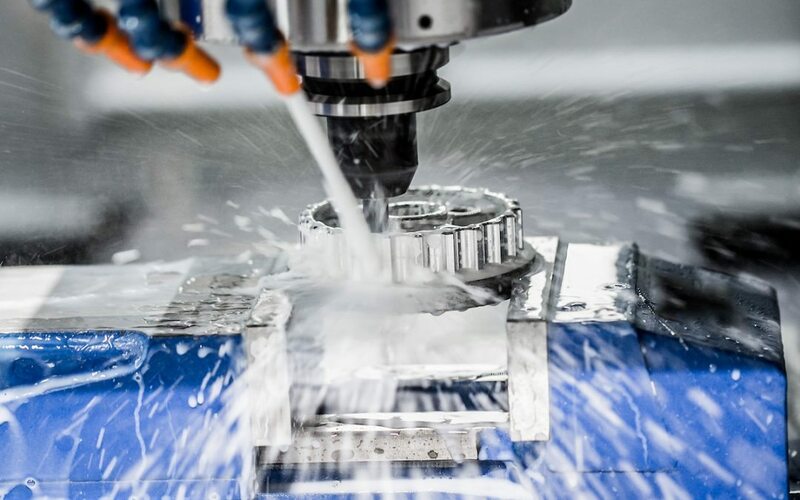 In fact it is the field support given by the fluid supplier that can be the determining factor in whether a water based metalworking fluid is seen as a success or a failure in a machine shop. Of course a high quality metalworking fluid should be the basis to start from and used in conjunction with a supplier offering support and technical service will optimise fluid life. After all the lubricant supplier should have a better technical knowledge of lubricant use and maintenance than an end user, shouldn’t they? So the answer to the original question about why some lubricant suppliers thrive on selling water based metalworking fluids and others don’t, it is the supplier who can put together the right package of product and support for an acceptable price who thrives. No easy task with there being so many variables, but get the offer right and there can be profitable and stable business that needs lengthy trialing by competitors before a customer will consider an alternative offer.